Cozy up in a plush booth and celebrate Valentine’s Day at the Standard Grill. Our indulgent 3 course menu is guaranteed to end your night on a sweet note. All grilled over binchotan and served with Perigourdine sauce pomme purée and wild mushrooms. Chocolate Bombe Sweetheart Dessert for two. host your next event, get together, meeting or cocktail hour with us! 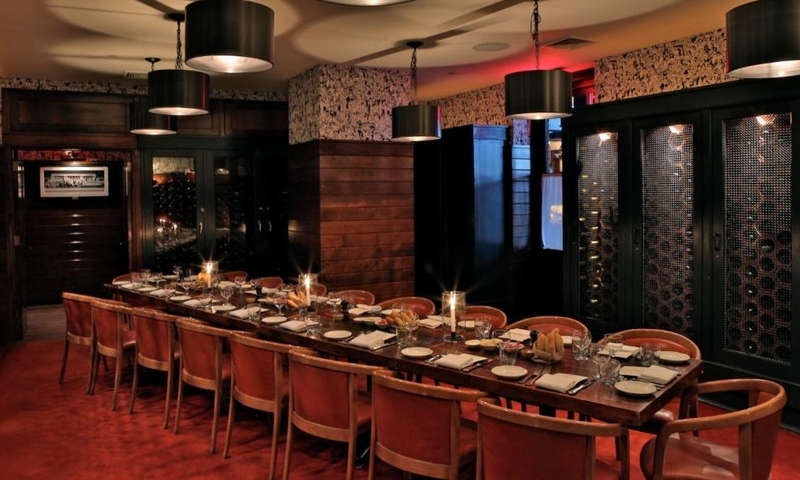 The Wine Room seats up to 20 for dinner in an intimate dining room located next to The Standard Grill. The room is cozy, private, and houses our most-prized vintages. This room is bookable for private dinners or daytime meetings. For more options and alernative event spaces email us. See what's happening in the world of The Standard.